I sure do miss Tucson. Thanks. Tucson misses you. But I'm glad you're up there. 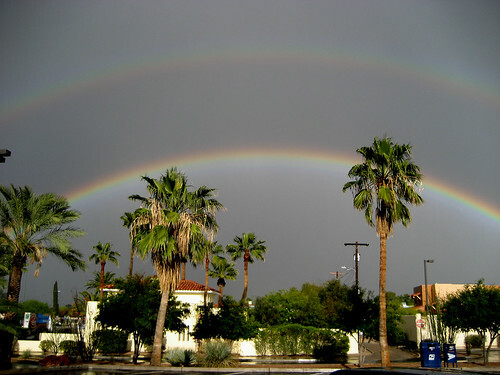 We saw a full arc, DOUBLE RAINBOW outside of the Post Office yesterday. That is a once in a lifetime experience. It was beautiful! ANd I had the camera... So, I will post pictures. Down by the Post Office on Speedway. my mountain! i see this sign as a promise that i will be back one day! There will be plenty of carrion to pick over. I take that back. It will be dried and blown away, most likely. Still, it's one hell of a beautiful range.